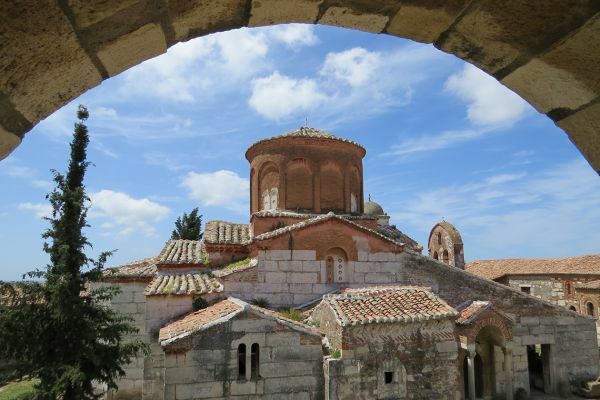 Over two weeks, we explore this ancient seat of Illyria in depth, walking to isolated churches with Byzantine frescoes, to hilltop castles and ruined cities, and high in the Albanian Alps for flowers and birds. We take a boat trip through the scenic gorge of Lake Komani and cross the border into Kosovo, Europe’s youngest country, to visit Prizren, with its well-preserved Ottoman buildings. Meeting at Tirana airport around midday, we transfer to this capital of contrasts (30 mins) and check into our charming 4-star boutique hotel in a quiet, central location. After lunch, we have a guided walking tour of Tirana, including the monumental ensemble of Skanderbeg Square and the 18th century Mosque of Et’heim Bey. A short road transfer takes us to the port city of Durres on the Adriatic coast. We visit the Roman amphitheatre and have a seafood lunch by the sea. 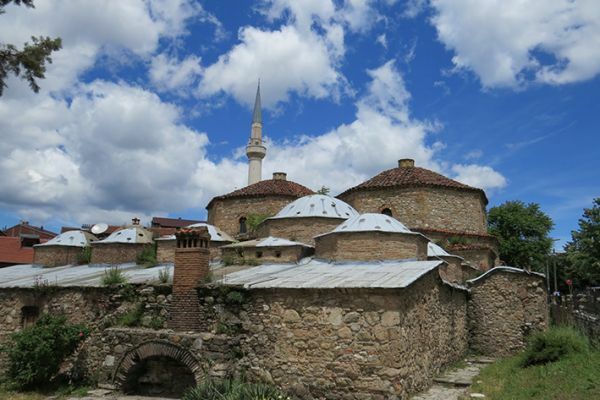 Continuing south, we reach the picturesque and ancient city of Berati, founded by the Illyrians in the 6th century BC and now under UNESCO protection. En route, we stop at a well-known winery where an informal wine tasting introduces indigenous Albanian grape varietals such as Sheshi I Zi and Puls. We stay for 2 nights in our comfortable hotel, a meticulously restored old Ottoman house. 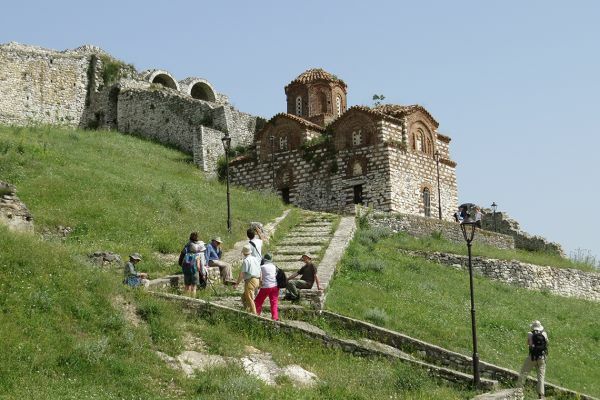 We spend the morning walking on the hills above Berat and have lunch in a traditional restaurant before an afternoon’s guided walking tour of the historic centre. 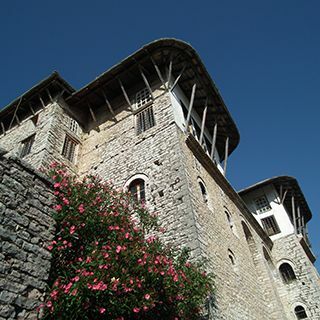 Highlights include the castle, still inhabited after 2,000 years, the wonderful 16th century icons in the Onufri Museum, the 15th century Sultan’s mosque and the excellent Ethnographical Museum housed in a traditional 18th century mansion. 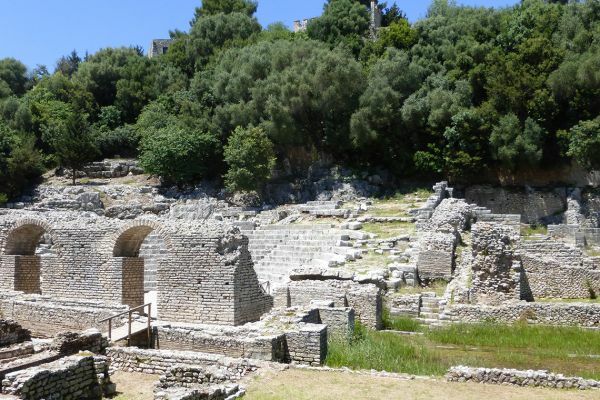 A full morning visiting the atmospheric hilltop ruins of Apollonia, a great city founded by the Greeks in the 6th century BC and later absorbed by the Romans – our guided walking tour is accompanied by bee-eaters and red-rumped swallows. After lunch amidst olive trees on the site, we continue south by road, winding our way up more than 1,000 m to cross the Llogoraja pass, then descending with spectacular coastal views to our small modern hotel on the beach – time for a swim or a paddle and a seafood dinner. 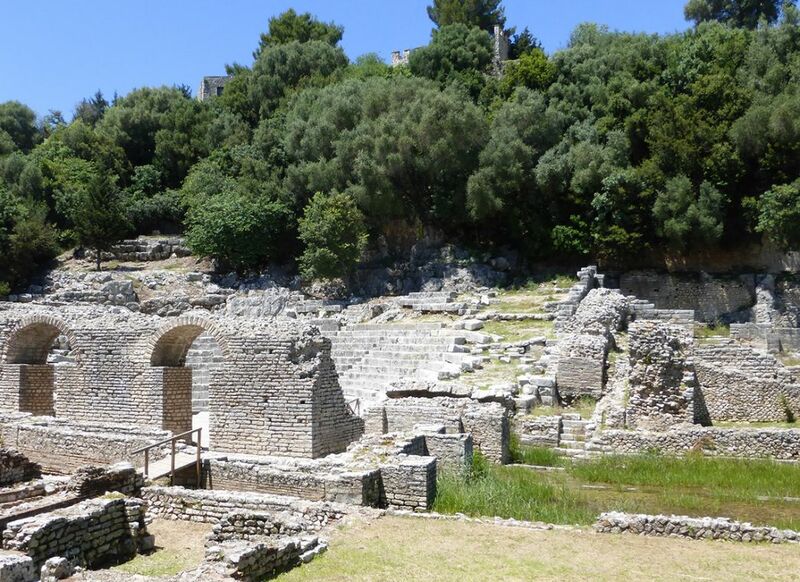 Our destination today is Butrint, the most important and best-preserved archaeological site in the Balkans, where we have a guided walk amidst holm oak and olive trees and see the impressive city walls and gates, the theatre and the 6th century baptistery, all complemented by views across the channel to the Greek island of Corfu. 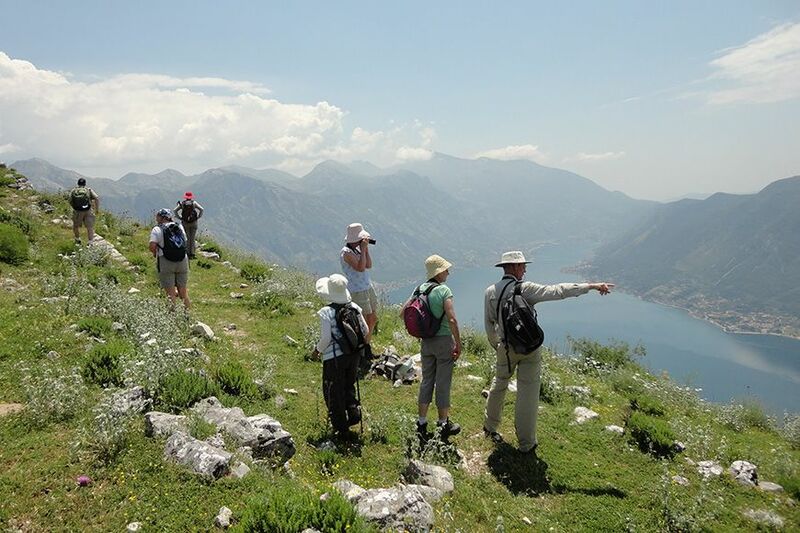 We visit the informative museum and can choose an optional walk by the lake (a Ramsar listed site, important for species such as pygmy cormorant, spoonbills and glossy ibis) or time relaxing in the garden of our hotel. We take a chain ferry to reach an old inland road and head north into the mountains. In Libohova, we enjoy grilled lamb for lunch in the shade of an enormous oriental plane tree before visiting one of the oldest churches in Albania in a nearby village. 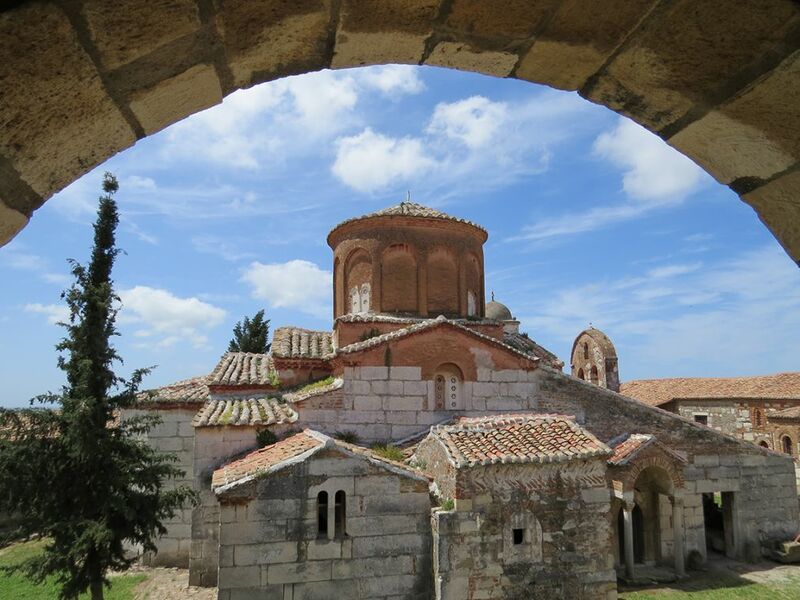 The church was built on the orders of the Emperor Justinian in the 6th century AD to house a fragment of the Holy Cross. A 1.5 hrs walk takes us gradually down into the valley, then we drive up into the ‘City of Stone’, UNESCO listed Gjirokastra, and our hotel in a recently restored Ottoman house. 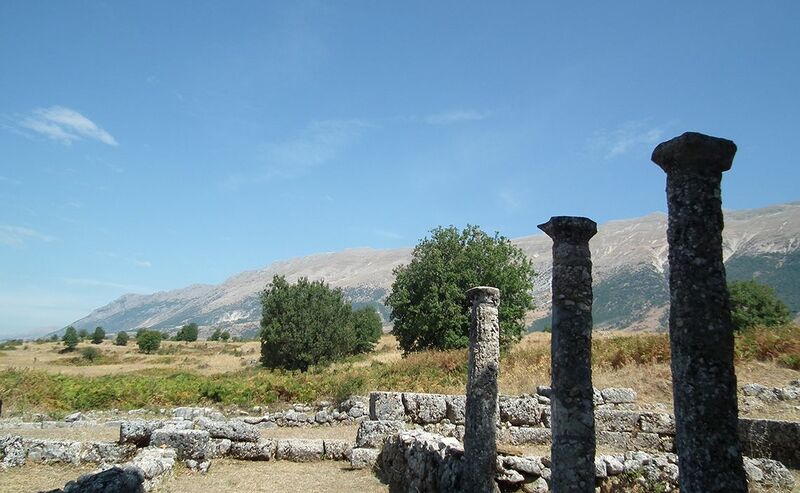 High in the mountains opposite Gjirokastra, we walk to the magnificently sited ruins of Antigonea, keeping an eye out for short-toed and golden eagles (Albania is known as ‘The Land of the Eagles’). 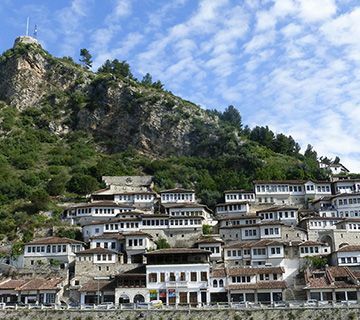 After a picnic, we return to Gjirokastra, birthplace of both Albania’s former dictator, Enver Hoxha, and Man Booker prize winning author, Ismail Kadare, for a guided walking tour of the huge 14th century castle, the picturesque bazaar and the fine 19th century Zekata House. This evening, we walk through the cobbled lanes for dinner on the vine-covered terrace of a well-known local restaurant. A morning’s drive brings us to Kruja, the cultural heart of Albania. We visit the excellent Historical Museum in Kruja Castle, the 15th century home of the great national hero, Skanderbeg, standing on top of a hill high above the surrounding plain. Our 3-star hotel is conveniently located to allow individual explorations of the cobbled lanes of the citadel and the picturesque bazaar. 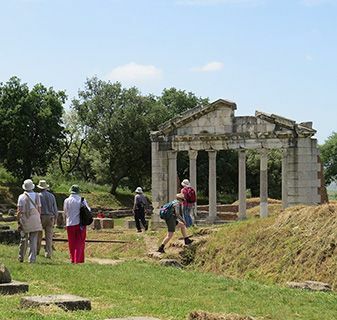 We walk (2 hrs) to the Illyrian ruins in Zgerdhesh, believed by archaeologists to be the ancient city of Albanopolis. Our lunch stop is in a renowned restaurant in the countryside. Lake Shkodra or Skadar is the largest lake in the Balkans, with one third of its area in Albania, while the other two thirds are in Montenegro, and it is listed as an important wetland. 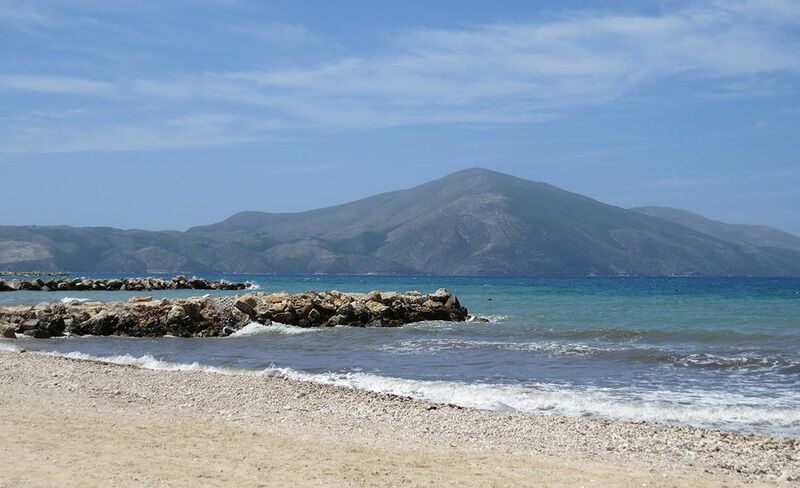 We take a short birdwatching walk along the shore before settling into our small central hotel in Shkoder. 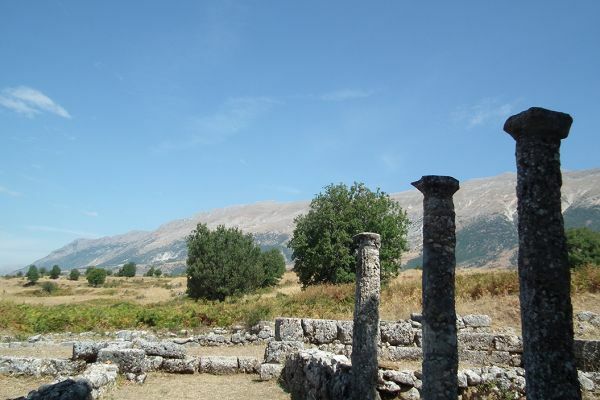 We spend the day investigating Shkoder’s history, going back to at least 1,000 BC. Rozafa Castle is strategically situated above the confluence of three rivers on a hill which has been fortified since Illyrian times. 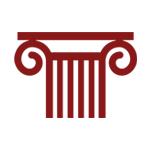 Traces of Illyrian walls can be seen along with remains from Venetian and Ottoman times. In the afternoon, we explore the compact historic centre on foot. 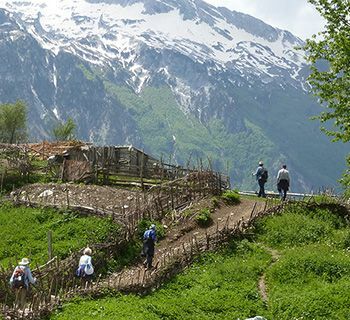 Following a boat trip through the dramatic, photogenic, gorge of Lake Komani, we take ever smaller roads into the remote Albanian Alps, also known as ‘the Accursed Mountains’ because of their long history of blood feuds. We drive beside the green/blue waters of the Valbona river as we head into the Valbona valley, bounded by towering limestone peaks. After lunch, we walk to a hidden little lake and continue on a riverside path. 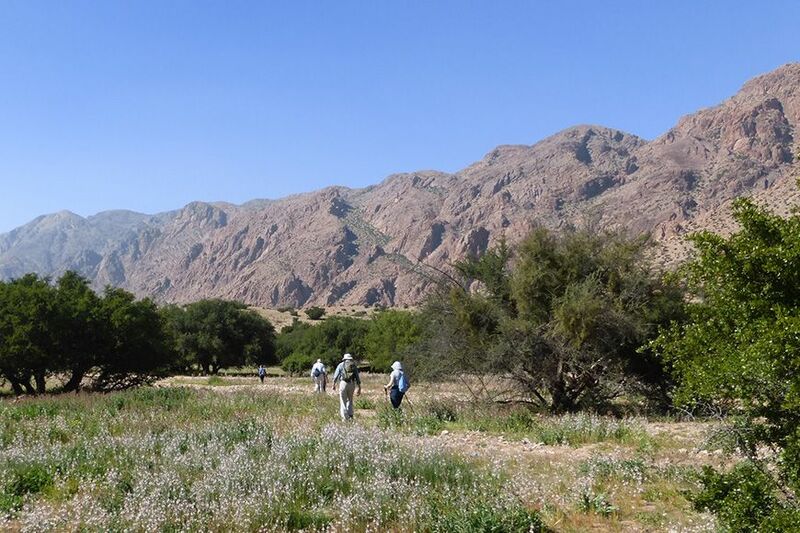 Our comfortable guesthouse, a sustainable tourism initiative of a prominent local family, was recently built of stone and wood, is surrounded by orchards and small fields and has marvellous mountain views. 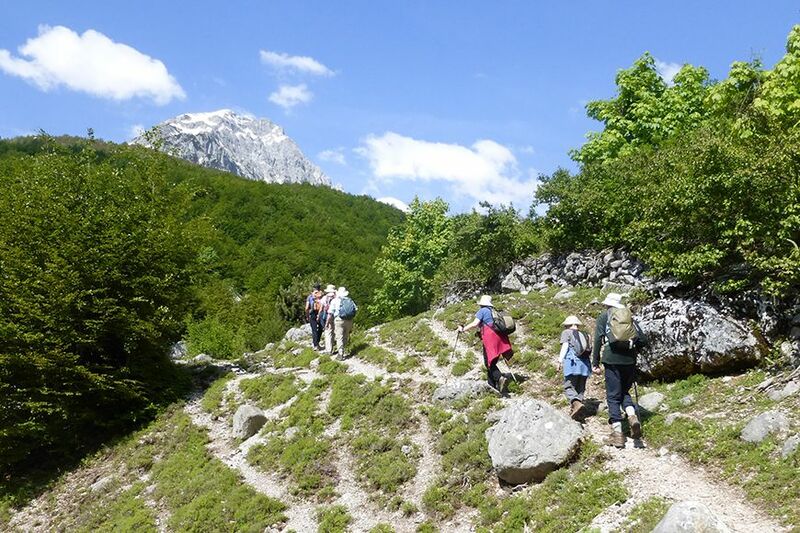 We spend the day exploring the valley, forests and upper flower meadows on foot (first, using 4WDs to get a good start), finding gentians, orchids, saxifrages, globularias and, perhaps, the endemic Albanian lily and soaring eagles, in a superbly scenic ‘bowl’ beneath the 2,694 m Mount Jezerca, the highest mountain wholly in Albania. Over dinner, we will be regaled with tales of wolves and bears, still very common in Valbona, and sample raki, our host's home–distilled brandy. We walk in a different area of the valley, before driving to Kosovo, Europe’s youngest country. We reach Prizren, noted for its well-preserved Ottoman buildings, by early afternoon. 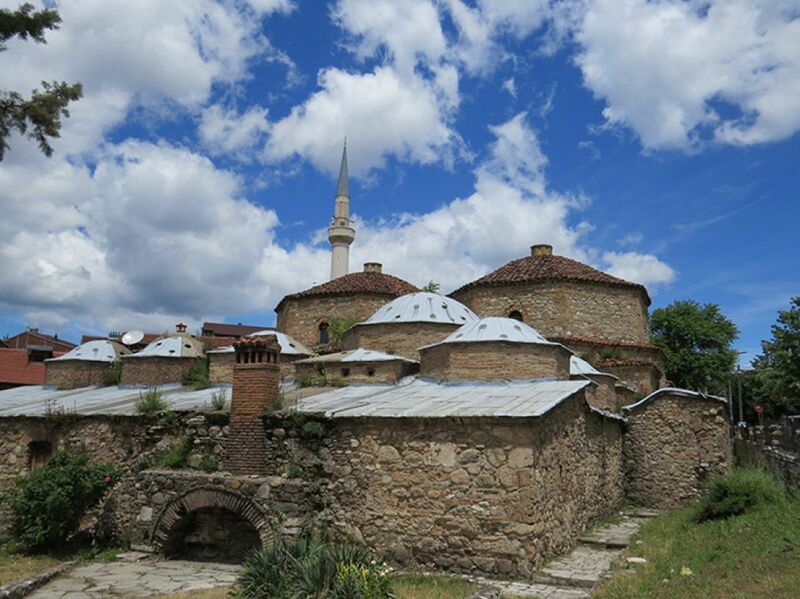 On a guided walk of the historic centre on the banks of the river Lumbardhi, we enter Prizren’s most prominent mosque, the early 17th century Sinan Pasha Mosque. Other notable buildings are the Old Stone Bridge and the Gazi Mehmet Pasha Hamman, both built in the 16th century, and the Albanian League of Prizren. Destroyed by Serbian Forces in 1999, it is now restored and contains a museum and a library. Our small modern hotel has an ideal central riverside location. 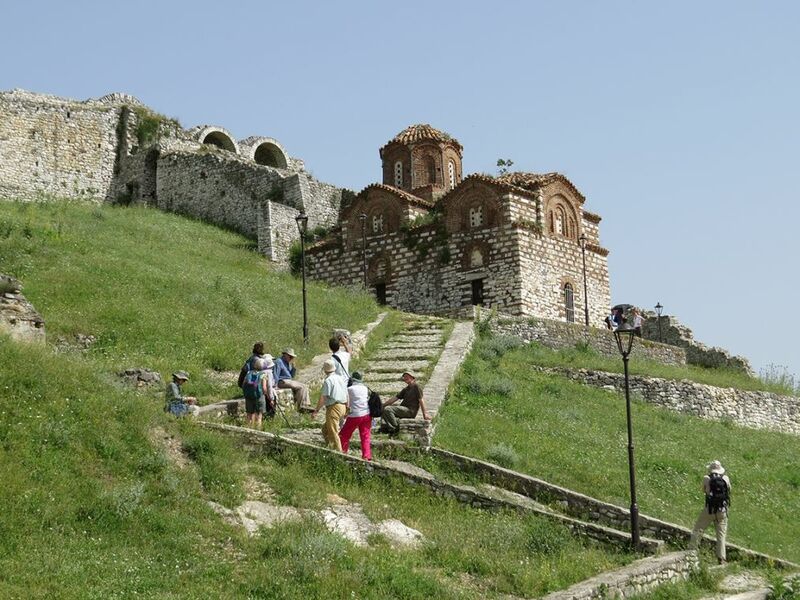 We walk to the hilltop Prizren Fortress, developed by Emperor Stefan Dusan in the 14th century as the seat of his Serbian Empire and, following the infamous Battle of Kosovo Polje of 1389, controlled by the Ottomans for centuries. By late morning, we are on our way to Tirana and a return to our charming 4-star boutique hotel. We have some free time before transferring to the airport for flights home. Please note that the single room supplement is imposed by the hotels and not by Kudu Travel. If you are willing to share but no other suitable guest books on the trip, we regret that the supplement will be payable. We shall endeavour to obtain double rooms for single occupancy whenever possible. 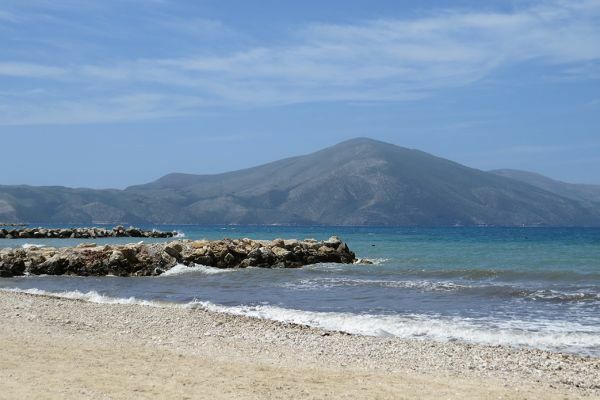 Visitors from the EU, the USA, Canada, Australia and New Zealand currently require a valid passport, but not a visa, for entry to Albania and Kosovo. If you are a national of any other country, please check visa regulations with your nearest relevant Embassy. At present, there are no specific and compulsory health requirements for entry to Albania and Kosovo. You may also wish to check the advice given to travellers by the Department of Health and the FCO. 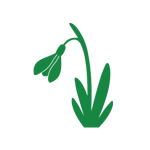 10 walking days, 1 – 5 hours daily. Most tracks are rough and stony, so lightweight hiking boots with ankle support and a proper ridged sole are essential. 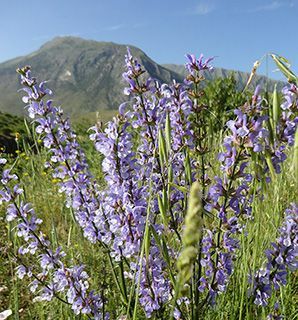 In the mountains in late May, these vary between 21°C during the day and as low as 9°C in the evenings. On the coast and most inland areas, the range is 16 - 28°C.